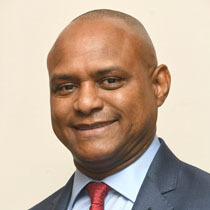 He is an alumnus of Munro College, the University of the West Indies at Cave Hill, the Norman Manley Law School, the Centre for Commercial Law Studies, Queen Mary University London, and the UNCTAD Virtual Institute, in collaboration with the Universities of Barcelona and Chile, where he examined Legal Instruments of Economic Law and Regional Integration. Dr Malcolm is admitted to practice in Jamaica, the British Virgin Islands, Dominica, St. Lucia and Belize. His expertise and practitioner-academic interests include Arbitration and ADR, Banking and Finance, Construction and Real Estate, Administrative and Employment, Corporate and Commercial, Regional Integration and Economic Development. 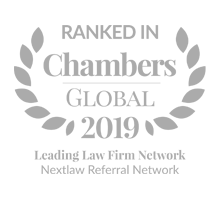 Dr Malcolm’s many publications include the Jamaica Chapter in the World Arbitration Reporter. Dr Malcolm has represented both public and private sector persons and entities generally, as well as more specifically in relation to Arbitration and ADR. Insofar as Arbitration and ADR is concerned, while the scope of services that Dr Malcolm has offered as arbitrator, mediator and counsel is broad, he has maintained special interest in matters involving Banking and Finance, Insurance and Securities, Corporate and Commercial, Construction and Real Estate, Administrative and Employment, Trade and Investment, Regional Integration and Economic Development, and general Contracts.